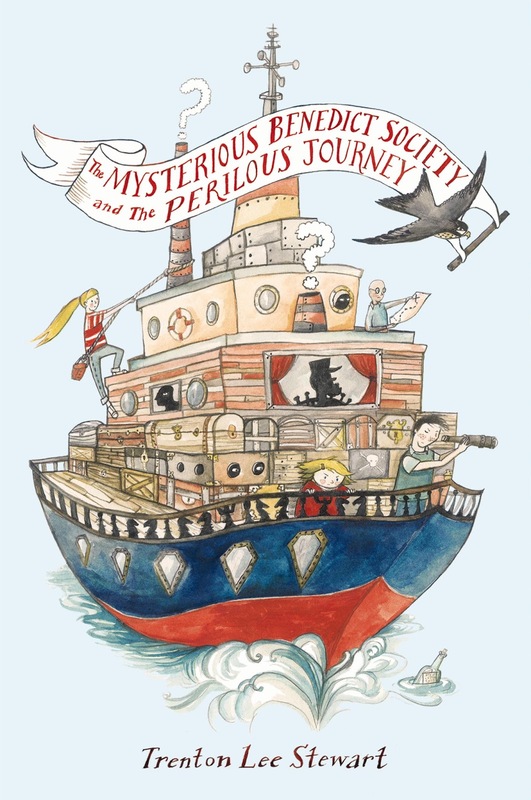 I finished reading The Mysterious Benedict Society and the Perilous Journey to my dad. This is the second book in The Mysterious Benedict Society series. Eason read it a couple of years ago and recommended it. I loved it! It was exciting and had many different types of adventures in it and all of them led up to one big journey. My favorite part of it was when Captain Noland gave Reynie the fake diamond in his cabin. Mr. Curtain was back even worse than before. He will probably be almost unbeatable in the next book. I wonder if Mr. Benedicts's narcolepsy is ever going to be cured. I can't wait to read the third book in the series: The Mysterious Benedict Society and the Prisoner's Dilemma.